A design can portray every emotion and feelings in a heartwarming way and so does the fonts do, they speak for every emotion hidden behind the designs. All you need is the right font that not only suits your design but also adds significance to it to deliver the intentions in the best manner. Here’s, latest romantic script fonts that can give a romantic gesture to the words wrap in them. These fonts are elegant, appealing, stunning and unique, which comes with a softness to suit the romantic atmosphere perfectly. Feel free to download these fonts to spice up your romantic designs! 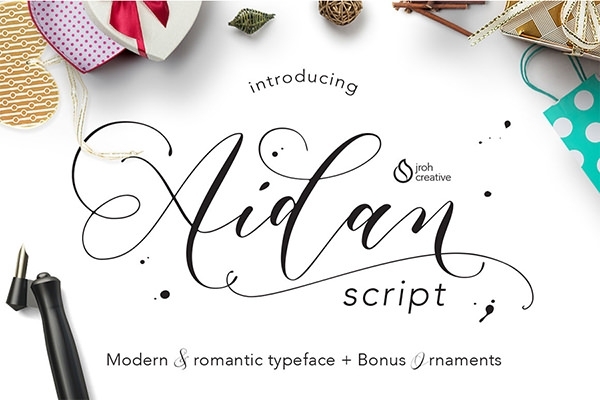 This Aidan script font provides modern look and feel. It is extremely ideal for watercolor designs, greeting cards, wedding invitations, birthday parties and many more. It is freeware and is available for personal use. It comes with true type font format. This Mekar script font is perfect for designing logos, printed quotes, packaging purposes, invitation cards as well as for any type of designing purposes. It is free for personal use and comes with both open type font and true type font. 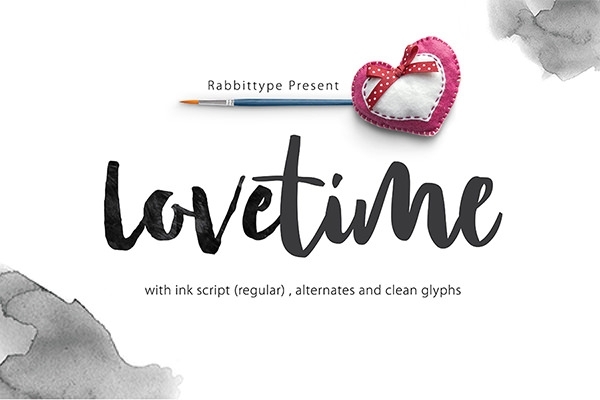 This lovetime script font is extremely ideal for creating any design like invitation cards, logos, t-shirts, greeting cards, etc. It is available at free of cost for personal use and comes with open type font as well as true type font. 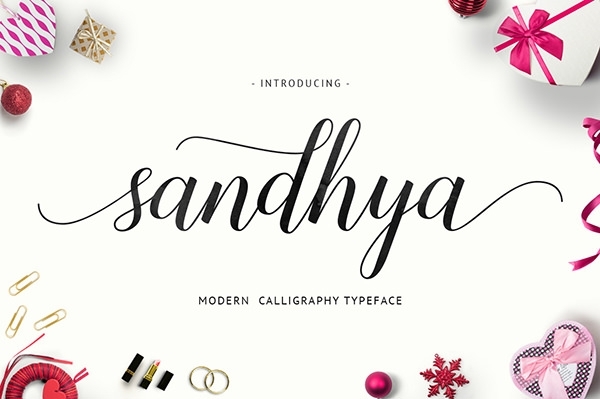 This stunning Sandhya script font comes with contemporary calligraphy typeface. It is helpful to create gorgeous greeting cards, business cards, posters, quotes and many more. It provides dancing baseline as well as decorative characters. It is free for personal use. 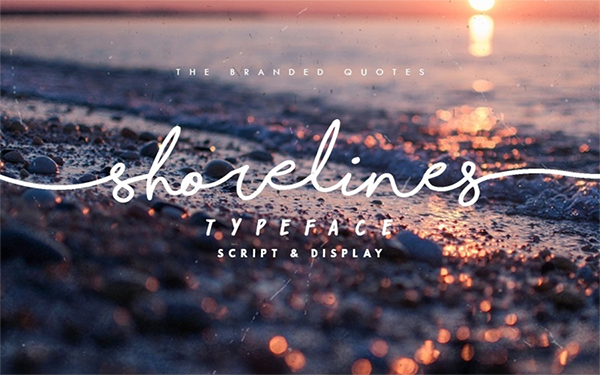 This shorelines script font which resembles natural and handwriting look is extremely useful for creating signatures text on images as well as for bloggers. It is free for personal use and comes with open type font. It provides uppercase and lowercase characters. 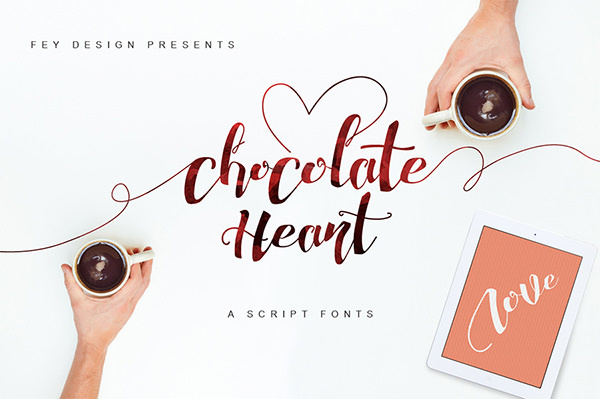 This spectacular chocolate heart script font which comes with open type format is highly suitable for designing t-shirts, events, logos, wedding invitations, badges, etc. It provides up to date calligraphy typeface and allows using at free of cost for personal use. 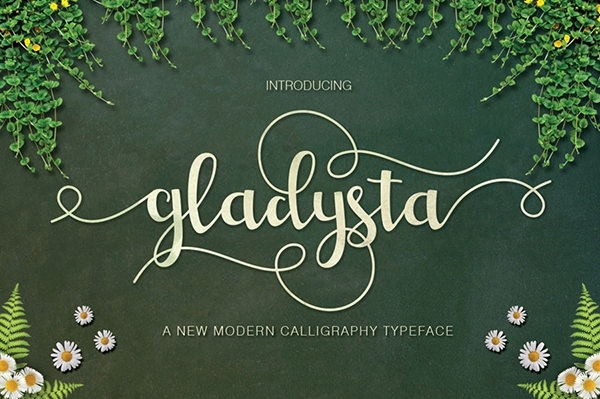 This beautiful Gladysta script font comes with dancing baseline and provides contemporary calligraphy typeface. It mimics traditional hand-writing script and very helpful for business cards, personal branding, greeting cards and many more. It is also useful for designing works and comes with true type font. 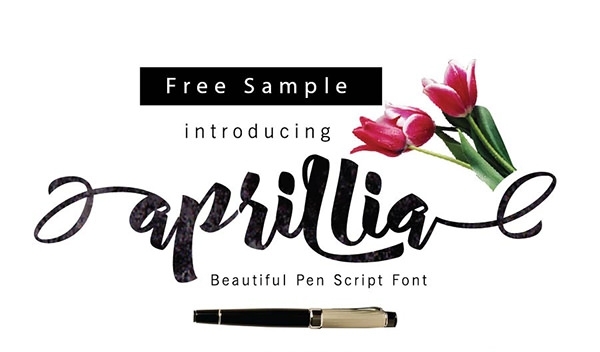 This Aprillia script font is extremely ideal for greeting cards, wedding invitations and many more. It comes with set of punctuations, international glyphs as well as standard characters. It provides open type font format and available free for personal use. 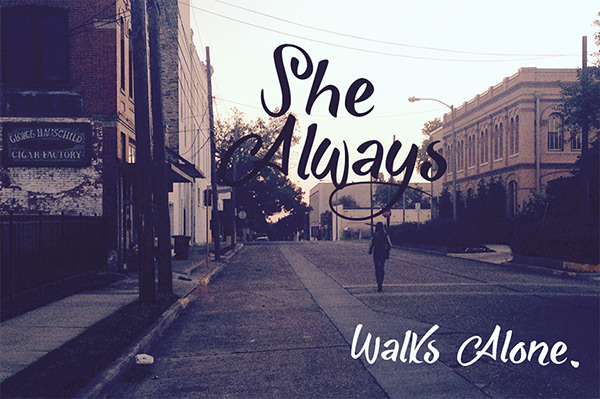 This she always walks alone script provides natural handwritten typeface and highly suitable for quotes, logo, poster as well as blog header. It is a true type hand drawn and quirky brush marker font which is free for personal use. 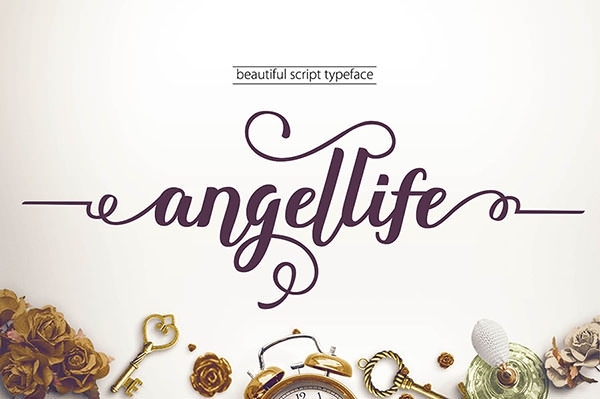 This beautiful Angellife script is highly suitable for wedding cards, t-shirts, logo, greeting cards and any type of design works. It comes with uppercase, lowercase as well as numeral characters. It provides both open type font as well as true type font.